As The Secret Garden reminds us, sometimes the best thing for our health is well-spent time outdoors. Park Prescription Program, or ParkRx, is a collaborative initiative that seeks to promote just that: the use of nature and public land to improve individual and community health. Partners like the National Recreation and Park Association, National Park Service and the Institute at the Golden Gate believe that parks and public spaces will play a pivotal role in preventing disease in future generations. Together, they have compiled a plethora of free resources for those who want to implement ParkRx programs in their own communities as well as provide opportunities to actively participate in collaborative ParkRx efforts through conferences and conference calls. 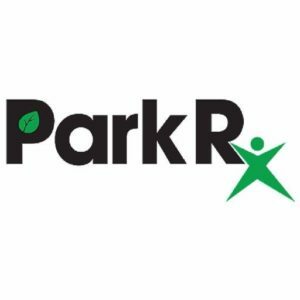 Benefits of ParkRx abound. Not only do the programs promote healthy life choices, they also create culture of appreciation for the outdoors in the next generation, beginning from a young age. Additionally, data from programs like DC ParkRx helps medical professionals track the best kinds of holistic treatment for their patients. Washington D.C.’s own program, DC ParkRx, connects people and patients with local parks by mapping and rating D.C.’s greenspaces. You now can visit their webpage to find D.C.’s best greenspaces for your particular needs. They also are developing a D.C. Park Mobile app which will make their searchable park database available in the palm of your hand! The app will also enable users to track time spent at the park, set goals for physical activity and share their activity on social media platforms, inviting people to join in on all the fun. To explore the DC ParkRx program, go to their website. The National ParkRx Initiative is free to join and offers all of their resources to everyone interested in the programming. A series of webinars gives guidelines for implementing a ParkRx, including marketing strategies, needs assessment, funding and evaluation. Find all of this and more on the National Park Rx website.